Before they started their Young Living journey, Hailey Aliff was a birth worker, while her husband, Jeremy, gravitated toward entrepreneurship. After Hailey felt burnt out of her job, she and her husband combined strengths with Young Living to help others achieve wellness, purpose, and abundance. They’ve always dreamed of getting out of debt and helping others. “We’ve always had the hearts to give but didn’t have the means to do it until now,” says Jeremy. Young Living has opened the door for endless possibilities. Several of their family members also run Young Living businesses. They continue to travel and form new relationships with people across the globe. Hailey feels that Young Living is a purpose-driven company and that it’s about inviting people to come and better their lives. 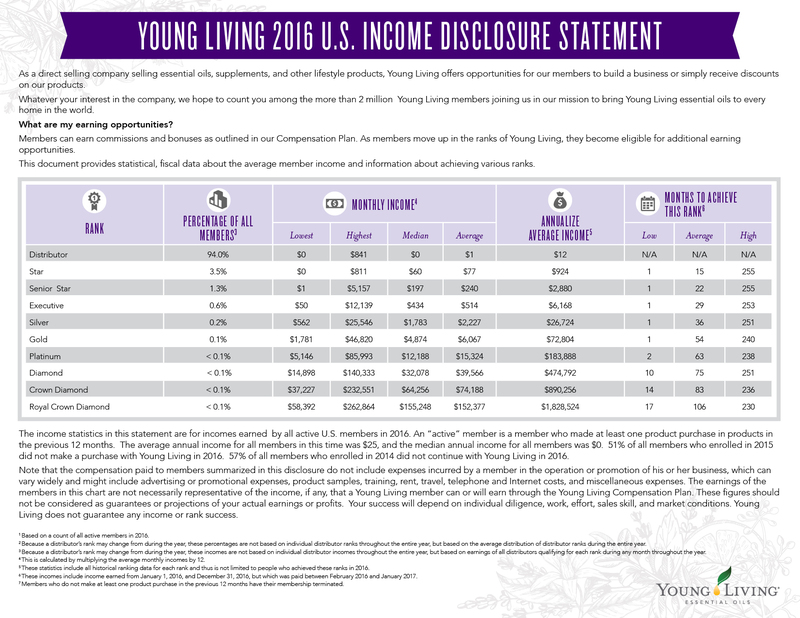 *For more information regarding Young Living’s average earning results, please see the Income Disclose Statement. Juan Arevalo and Franciela Madrid have worked together ever since they started dating, when they had their own consulting company and a different set of dreams than they do now. While suffering some health challenges, Franciela decided to dedicate her time to finding alternative solutions that could improve the quality of life for her and her family. She became certified as a naturopath and a health coach and has pursued other natural practices. In July 2013, Franciela started to share these positive changes with her friends, and their interest was piqued. Once they started using Young Living products, sharing oils became just another excuse to get together as friends and bond over their love of Young Living. Before she knew it, Franciela had ranked up to Silver and qualified to join Young Living for a trip to Hawaii. It was during that trip that she began to conceptualize her YL business. Once Juan realized that Young Living was not just another business corporation but a company with heart and soul, he joined her and Mariana, their daughter, to connect with friends throughout Mexico. Together, they teamed up to build the largest Young Living organization in Latin America. What fuels this self-motivated team the most is helping as many other families as they can to achieve their dreams as well. She started studying and teaching right away. John was on board with essential oils but skeptical of the business opportunity until he saw the power of duplication at work. John began taking an active role, working the Young Living business part-time, until he could put his time and energy where he wanted: in his family and in the vision of Young Living’s mission of wellness, purpose, and abundance. Ulrike and Vijay Churfuerst fell in love in 2001, which is also when they fell in love with Young Living's philosophy, vision, and products. Among the first pioneers in the European market, they became passionate about bringing Young Living products to the continent before Young Living had even been established there. This decision was the beginning of a new life for the pair. Vijay and Ulli have been an instrumental part of Young Living’s growth in Europe, supporting the company with translations and customer testimonials, all while building their own Young Living business. At a young age, Courtney Critz learned from her mother that individual health and the health of her family were her responsibility. When Courtney first experienced Young Living essential oils, she initially loved the convenience and simplicity of the oils in helping her with that responsibility. But it wasn’t until she had a dramatic experience with NingXia Red that she felt prompted to share Young Living with her family and friends. As a loyal leader, Courtney spends her time focused on people. She measures her success not by how much she does, but by the love she shows to God, family, friends, and strangers. “People matter more to me,” she says, “than what I’m trying to get done.” Her husband John uses his skills in technology to work with Courtney as they teach their teams. She is passionate about freedom—financial freedom, time freedom, and emotional freedom. As a master herbalist and meditation instructor, Kathy always felt passionate about helping people emotionally, physically, and spiritually. With Young Living, she finally found a career where these passions coincided. After her own personal tragedy when her son ended his life, Kathy and Mark created a nonprofit group called “A Shining Light” to spread suicide awareness. “We all want to improve the world. That’s the most important thing humans can do.” She says. Alyssa’s husband, Troy, has always been her encourager and cheerleader and now works alongside her, taking care of the daily paperwork and finances. She describes him as a “quiet warrior.” Alyssa’s experiences with Young Living have inspired further lifestyle changes, which include working from home with her husband and taking care of her physical body. Integrating essential oils into all the modalities that she has practiced and taught through the years, Frances’s passion is helping others elevate their lives. For years, her ultimate goal had been to get Young Living to Singapore. Having accomplished her goal and built a large team there, she’s more passionate than ever about sharing the products. However, more than growing her business, “growing people” remains her greatest passion. When Carol Yeh-Garner bought her Starter Kit in October 2013, she had no plans of starting a Young Living business; but she loved the oils and diffuser so much that she started sharing her story, and her business grew organically. With a large existing network, Carol built her business very quickly—reaching Silver in fewer than 3 months, Diamond in 11, and Royal Crown Diamond in 27. In 2015, Carol’s husband, Scott, transitioned from his job as a teacher to begin working with Carol in their essential oils business. Carol’s business-building approach focuses on helping others fall in love with their essential oils and building their business in a personable, natural way. Her experience in clinical social work and hypnotherapy have helped her support her team and replicate her success. She’s shared her insights as a speaker at Young Living’s International Grand Convention and at many other business events. Carol and Scott’s goals are to help as many of their team members as possible be successful with their Young Living businesses and to make a positive impact in people's health. Financial independence began as a goal for Adam long ago. “Growing up, I was very fiscally responsible,” he says. Not only did he pay for his own college education, but he also purchased a house at 20 and paid off the mortgage by 25. “We want to continue helping others to become financially stable and free,” he says. For Annie and Chris Hauser, Young Living has been about the opportunity to connect with individuals, communities, and their family. They prefer to spend their time with their two children, friends, family, and pets and to open their home to children in foster care; and it has been a huge motivator behind what they do. Jeanmarie Hepworth has been a leader with Young Living for almost all of the company’s 20-year history, and she continues to dedicate her time to nurturing leaders and educating members through meetings and regular written publications. She proudly represents one of the largest organizations within Young Living, which has grown to more than 800,000 members. They have also greatly enjoyed being involved with the details of the Seed to Seal® commitment. “We’ve been to nine of the global farms and worked on each one. I’ve planted seeds, cut, harvested, and sealed the bottles myself,” Max says. Karen explains how Young Living was never about the money: “Abundance to us is never being limited in our ability to give. That is what Young Living offers us.” She also takes inspiration from a prayer given by her mother. “When my mom was going to lose me six months into the pregnancy, she dedicated me to God. Knowing that motivates me to succeed,” Karen says. Gregg and Carol Johnson have been faithful Young Living product users for nearly 24 years. Their journey began when they were introduced to a Young Living Essential 7™ kit in 1993. After Carol found Lavender soothing to her dry skin, she started to believe in the power of oils and experimented with other uses. Sera Johnson’s Young Living journey started in 2006 after she asked God to reveal his plan and tools for her family’s abundant health. She found her answer in Young Living Essential Oils. After extensive research and viewing photos of Gary Young on the company farms, she knew this opportunity would change her life. As Sera saw how the Starter Kit impacted her family’s life, she felt a burning desire to teach and empower others. She became an unstoppable force when she read about essential oils from the Bible and constantly shared Young Living with the world. Along with her phenomenal team, Sera loves to encourage others to focus on their own unique Young Living journey. She believes that using the products consistently to achieve personal wellness, sharing with passion and purpose, and dreaming big as they discover abundance can help others live a greater life. Growing up, Jen Jordan knew she wanted to be a doctor, but on her way to getting a degree, she realized that she didn’t want the lifestyle associated with the health care industry. In her words, she “handed her dream over to God,” and when a husband and then three children came into her life, she felt her decision was confirmed, and her role as a wife and mother took priority. “This was it. This is what I was made for,” she says. Today she helps others become “their own health advocates,” and she feels certain that God prepared her for this role through her education and experience. “I feel like Young Living handed my dream back to me,” she says. Jen’s experience with oils began around 2009, when her sister, April Pointer, who is also a Royal Crown Diamond, introduced her to Young Living. Jen relates that her initial response was not a positive one: “I thought she was crazy!” she says. Jen started using oils two years later, but then only as a “closet oiler,” despite the fact that essential oils changed her life. She reluctantly taught her first class, thinking that the attendees would just “go away” after listening. Of course, that didn’t happen. Joanne and Eric’s passion for Young living’s mission kickstarted their business and propelled them to become role models and leaders in the company. Their Young Living journey began in 2011, when Joanne was looking for household products formulated without toxins. After her positive experience with Young Living products, Joanne started sharing them with her friends and family. Once she received her first check in the mail, she realized she was creating her own business! When Joanne reached Gold rank in 2013, her husband, Eric, joined in to help out. Before Joanne discovered Young Living, she had aspired to become a Waldorf early childhood teacher because she wanted to nurture children and educate parents. Young Living allows her to do just that and more! Beyond her role as an educator, Joanne is a mother, international speaker, author, and entrepreneur. This power couple helped to launch the Hong Kong, Taiwan, and China markets and are currently leading the largest Chinese global team in Young Living. Their team includes four Royal Crown Diamonds and many other Diamonds! In 2013 Melissa Koehler was pregnant with her third child and wondered where she would find time to devote to her photography business. She had spent nine years building it through blogs and social media, but her husband traveled for work, and with three babies at home, she thought she would have to put her dreams aside. During this time, her friend Lindsay Moreno introduced her to Young Living essential oils. Melissa was thrilled to try them and shared them through her social media outlets. For two months she received messages from friends and acquaintances about the oils, which she answered privately, but she didn’t pursue the business publicly until she knew that working with Young Living would allow her to continue her professional dreams and potentially free up her husband’s time. Melissa, along with her husband, Mark, work together from home now, and Melissa enjoys working on her photography on the side. Kari Lewis fell in love with her starter kit the moment she opened it in 2014, and has shared the goodness of essential oils ever since. Not long after her introduction, she realized growing a business with Young Living would be a worthwhile investment of her time. She recalls asking herself the question, “Why not?” and dedicated her time and energy to what she describes as a “beautiful whirlwind.” Kari enjoys working alongside her best friends and making new friends through her work with Young Living, and she is grateful for the opportunity her husband now has to spend more time at home with her and their children. Despite their fierce dedication to growing with Young Living, Kari and Zach make time for their relationships first: dating each other, spending time with their children, and going on adventures. Kari finds inspiration in the people around her and the adventures she takes. Before Young Living, Kari was a couples photographer, photographing couples in all stages of life—from dating, to engagement, to fifty years of marriage. As a mechanical engineer and later as a graphic designer, Stacie Malkus realized that she was missing her “bigger purpose,” one she found when she began sharing Young Living products with family and friends. While reluctant to become part of a direct sales company, Stacie had an experience that changed her mind about sharing. “After having an incredible success with Lavender oil for my toddler, I realized that every mom I knew needed these oils,” she explains. Joanna feels like the business chose her, and she embraced her calling from the very start. Her journey has been one of magical transformation, which she sees as one “big, personal developmental project.” This inspires her to give back and dedicate time to in-person experiences at retreats that inspire growth. These team-favorite experiences focus on emotional health, where Joanna can use her gifts of empathy and encouragement to help others reach their own potential. Connie Marie McDanel is on a mission to help as many women as possible by teaching the importance of creating a financial back-up plan for life’s unexpected circumstances. Raised by entrepreneurial parents who owned a successful agate wholesaling business, she learned important lessons at a young age about customer relationships and looking at the big picture to maintain a successful company. Growing up on a hobby farm, she dedicated herself to her horses and later become a 14-time saddle winner in the North Dakota rodeo circuit. In the 1980s, she was instrumental in achieving equal pay for women athletes in the North Dakota Rodeo Association and other state associations. Connie was featured nationally in an Associated Press article by Will Grimsley that highlighted women in sports. She also made a talk show appearance with TV game show host Gene Rayburn in New York City. Through the trials and errors, they agree that there are great lessons to be learned from mistakes. “My goal now is to do everything with excellence and put God first. When you do that, it pays off.” Monique says. The most significant change, though, came when her husband, Tyson, quit his job, which he was free to do, thanks to the Young Living business. “After years of deployments and long days in school, my boys finally have their dad back,” Wendy says. Jodie Meschuk is a mom to one girl and two boys and is married to a successful football coach. A Southern California native, she is a certified yoga instructor who majored in sports medicine. Her “lightbulb moment” of increased health awareness came as a result of her son’s challenges as a baby. According to Jodie, some of her family’s lifestyle changes include “taking time for stillness and meditation and experiencing the power the oils have on the emotional brain.” Jodie says she is a stronger, more present and intentional leader as a result. “I’ve been given the opportunity to face my fears head-on and own who I am and what I can offer the world,” she explains. Lindsay is a world champion iPhone karaoke singer, expert problem solver, and avoider of all household chores. She has a collection of dry shampoo that puts any momtrepreneur to shame. Her passions include helping women start businesses, watching videos of baby goats online, and seeing the world with her family. Michael credits his dimple for not only much of his life success but also the free upgrades he tends to receive. His passions include hanging out with his family, laughing at inappropriate Internet memes, and cheering on the Arizona Cardinals. Together, Lindsay and Michael live in their Barbie Dreamhouse in Colorado with their three daughters and the family mascot, Fitzgerald. Lindsay started her Young Living business in 2013. Her goal was to bring essential oils and an online business to her tribe—which is mostly made up of moms with kids at home and not a lot of time for extra anything. With a strong desire to make the business and product easier, the Lemon Dropper team was born and grew at an alarming rate. Michael joined the team to take care of the back end of the business in 2014 because Lindsay’s brain doesn’t work like that. Together, they have started multiple other businesses together. Young Living is truly a family business for Vicki Opfer and her son Chris, who, as Royal Crown Diamonds, seek to help people live happier and healthier lives with their business, Young Living Family, Inc. They love working for their Young Living family together and co-authored a book on how to build a Young Living business from the heart, without hype or pressure. Vicki has a background in computer science and engineering but has worked in the natural health field for nearly 40 years. She is also a certified nutritional counselor. With an eye for detail and a passion for truth, she has made it her mission to study and teach natural health and nutrition. Her teachers have included natural health luminaries such as D. Gary Young, Bernard Jensen, and Reverend Hanna Kroeger. She joined Young Living in 1994 and was one of the first members to achieve the rank of Diamond. She is currently a Royal Crown Diamond and lectures on the Young Living lifestyle and how to share it with others. Vicki’s books have been used by Young Living leaders around the world to build successful businesses. Her goal is teaching people how to live longer, healthier, and happier lives in a way that the valuable information can be shared easily to benefit future generations. Growing up around the Young Living lifestyle, starting with his mother’s introduction to the oils in 1994, Chris Opfer joined Young Living in 2002. Although he was an avid and faithful user of the products, he pursued his dream to become a lawyer and prosecutor. Chris graduated from the University of Denver in 2007 with a degree in both Political Science and Criminology. Three years later, in 2010, he earned his Juris Doctor from the University of Denver Sturm College of Law and began practicing as a prosecutor in Colorado’s most populous judicial district. In 2016 Chris left his successful career as a prosecutor to join Vicki as a business partner. Chris has lectured for Young Living and greatly enjoys helping others share the freedom that comes with the Young Living lifestyle. Before her contact with Young Living, Jessica Petty had several experiences with essential oils, but it wasn’t until seeing Young Living’s lavender farm in Mona, Utah, that she knew she needed to become a Young Living member. From that moment on, this former stockbroker wanted to share her love of oils with others, but she had reservations about direct selling to family and friends. Her concerns were resolved after Young Living members in a social media group explained that the core of Young Living was about sharing knowledge, not pushy selling. Jessica started and grew a successful business, despite the disappointment of low attendance at her first class. Melissa describes her transition into Young Living as a “leap of faith,” and it has brought amazing results into her life and into the lives of those around her. “Before I knew it, we were creating a movement in our community,” she says. In her pursuit to immerse herself in this new lifestyle, Melissa began designing naturally derived, mineral-based cosmetics. Her passion continued to grow, and in 2017 she played a critical role in the addition of Savvy Minerals by Young Living®, Young Living’s high-quality cosmetics made with premium ingredients. April Pointer found Young Living in 2009 and purchased a bottle of Thieves®—now Thieves Vitality™—for her husband’s immune system. It worked and made them believers. Essential oils were the missing link in their home with her love of health, wellness, and natural living. After two years of using oils, she looked at the income opportunity after enrolling a friend who desired to generate an income with YL. April decided it was time to take a shot. With the humble goal of getting her oils paid for each month, they began teaching monthly classes together. “Teaming up had a major impact on our success,” she says. Momentum set in, and it grew each month. At Gold, Jay was laid off from his corporate job, and April’s YL income ended up being the “plan B” they never planned for. Jay found a niche in April's business while still pursuing his own goals. They went on to achieve Royal Crown Diamond in 2014. “History is happening with essential oils, and we are in the greatest company in the world!” she says, alluding to the musical Hamilton. The Pointers desire to build a culture of goodness, freedom, and legacy. “I want to build something that is going to outlive me," April says. They desire to make a difference and are passionate about establishing clean water wells, ending human trafficking, supporting disaster relief, and missions. Debra Raybern began pursuing her passion for plants by becoming a Master Herbalist and teaching classes about herbs in her home. She would later discover Young Living as she researched ways her students could incorporate herbs in everyday life. She’s been drawn to essential oils ever since. As evidenced by her past careers as a pharmaceutical rep, a high school math teacher, and a photographer, Erin Rodgers is a keen multitasker determined to create a path to success for her family. When she first stumbled into the world of essential oils, she was a wife and mom simply trying to survive the first few years with little ones at home. In a period of mama-desperation, she reached for essential oils to support her family’s health—and she was stunned when they worked! She could see a new life for her family, and she didn’t want to wait for it, so she jumped in. Her simple effort to support her family’s health and wellness grew into something bigger, and she knew she would never be satisfied if she kept quiet. When she saw other moms feeling frustrated, helpless, and confused, she started to tell her story. Cherie Ross has had an entrepreneurial spirit since she was a young girl. “I started my first business at 8 years old, growing organic vegetables on my grandparent’s farm to sell on our lawn,” she says. Since then, her personal experience has included managing a restaurant, working with animals, bookkeeping, and performing as a professional dancer and actress. Eventually, she found great success in the beauty industry as a salon and spa owner. She even did hair and makeup for fashion shows, commercials, billboards, and magazines. Jordan Schrandt was introduced to Young Living while working as a freelance writer for agricultural publications. Because of the purity of Young Living products, Jordan felt a need to leave a “toxic culture and chemical-laden society.” Though her dream was writing and communications, she decided it was time to step away from writing about the world of harsh and toxic chemicals in our food and products and instead focus on educating people about a lifestyle of overall wellness. Today, Jordan and Doug run their Young Living business while also raising eight children. Jordan returned to her first love of writing and recently published and launched her own magazine—a place where she combines natural living with the publication world. Jordan also enjoys playing the piano, running, homeschooling, and homesteading. She loves empowering women and sharing her faith with others. She says she’s developed the most “authentic friendships” through Young Living, and she feels that her experiences with the people and products have added so much love and fullness to their lives and the lives of so many others. Christa and Jason Smith have been together for almost 25 years. With OB nursing, physiology, and advertising backgrounds, it doesn’t surprise them to see how their whole-body wellness lifestyle community has blossomed. Christa has given birth to 15 children in the span of 19 years. She shares her wisdom and inspires other mommies around the world, offering peace of mind when it comes to their babies' best. As their community grows, the Smiths are planning to open a wellness life spa in Texas for one-on-one experiences. The entire family works and travels for their team. While Christa conducts educational teachings, the kids manage daily activities, business classes, and follow-ups. Members know them as the "Smith Nations,” a name Christa uses, and can easily be identified. They are well-known for their “on-the-spot BIG hugs.” Jason shares business tips through his educational videos for those in the know, offering a welcomed comic relief. The Smiths have enjoyed several cruises with seven of their children to Honduras, France, and Croatia, plus building homes in Ecuador for underprivileged families, which has given their personal homeschooling efforts new perspective and meaning. The family loves to help other families, share their vision to give their own children real-life experiences, and hold fast to their ability to go or give anytime God says to. Madison and Tyler Vining have been together since they were 14, so it shouldn’t come as a surprise that they would dive into Young Living hand-in-hand. “We got involved when we needed a system support,” says Madison, “and we woke up the next day [after using Thieves®] and bought our Starter Kit.” Since then, Madison and Tyler have been teaching and inspiring others, helping Young Living leaders and members find whole-body wellness. Madison and Tyler both work on their team’s front lines, with Tyler managing the nuts-and-bolts aspects of the business, tracking numbers, setting goals, and coordinating travel, while Madison teaches and works with leaders. Tyler loves connecting with the men who are skeptical about Young Living, and he runs a special men’s group for this very reason. In 2014 Vivian Wan joined Young Living as a leader. A friend introduced her to essential oils, and she fell in love immediately. Her love for Young Living products and her desire to teach others how to live healthier lives propelled her into Young Living’s highest leadership rank within 21 months, making her the fastest-advancing Royal Crown Diamond leader in Asia. During that period of incredible growth, Vivian was able to quit her job as a marketing director, and her husband joined her business shortly after she reached the rank of Royal Crown Diamond, leading to even more growth. “It’s good that we can work together as a couple and take care of the children together. We enjoy more financial freedom and spend more time together,” she says. Vivian genuinely enjoys the new relationships she has made with Young Living and the opportunity to be a leader. “I love to help members to become healthier…and also seeing how they grow themselves in this organization.” She values passion and hard work in leadership and continues to develop management skills through reading, hands-on experiences, and valuable advice from other Young Living leaders. Casey Wiegand values the community of fun, like-minded people she meets working for Young Living, as well as the opportunity to promote natural products. Known as someone who is kind, loving, and warm-hearted, she supports others by offering help and opportunity while building a strong community. Myra Yarbrough grew up surrounded by family on a small farm in north Alabama. She was accustomed to home remedies, wellness, and nutrition prior to her introduction to Young Living. Because of her passion for inspiring others to live a beautiful life, Myra launched a lifestyle blog called MyBlessedLife.net to share her life and creativity, as well as to build friendships online. Myra made many connections with like-minded women through her blog, including one with Alyssa Francis, who introduced her to Young Living. Myra was super skeptical and vowed she "wouldn’t ever do the business.” Her oils remained unopened on the kitchen counter for two weeks before she got the courage to open them. About six months later, Myra wrote about Lavender essential oil on her blog and a business was born. “It was an accidental business, but I wouldn’t have it any other way!” she says. Myra and her childhood sweetheart and husband, Ernie, work as a team to run a successful business. “We divide and conquer everything,” she says. It really is an amazing thing to work from home together. Ernie makes the unglamorous side of the business successful, as he handles piles of paperwork, paying taxes, and coming up with the most amazing team incentives ever.